Collecting of leachate in storage tanks, pumping of industrial waste water from wells or collecting resevoirs, extraction of liquids contaminated by hydrocarbons. 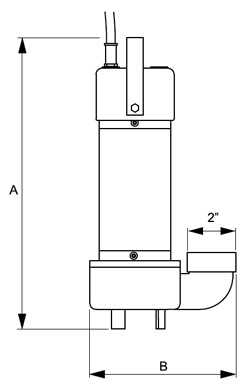 2 poles asynchronous motor, 50 Hz, 2850 rpm. Working voltage: single-phase 230 V, three-phase 400 V.
The ATEX pumps in conformity with 2014/34/UE Directive can be installed in potentially explosive atmospheres according to the marking explained in the technical details. Open impeller in cast iron to avoid obstruction from mud and other suspended small solids particles. Cast iron parts with galvanic treatment to increase its resistance. 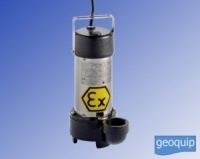 Electric pumps produced with 5 m of ID 4G1,5 electric cable included. 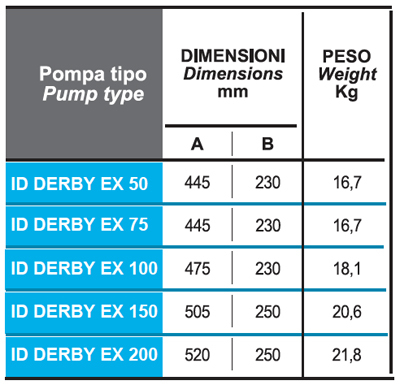 Temperature of pumped liquid: max +40 °C. Special and balanced mechanical seal, particularly robust and reliable, with high resistance to wear and chemical aggression. Standard ATEX version drainer pump. Collecting of leachate in storage tanks, pumping of industrial waste water from wells or collecting resevoirs.